Pusdiklat Kemenag RI, UIN News Online â€“ The Center for Public Relations and Legal Aid Services (PLHBH) of UIN Jakarta hold a workshop with the theme â€œPenanganan Agraria di Lingkungan UIN Syarif Hidayatullah Jakarta.â€ The workshop is being held at Pusdiklat Kemenag RI, from Wednesday to Thursday (August 24-25th). The workshop was attended by Prof Dr. M. Arskal Salim GP. MA (Representing the Rector of UIN Jakarta), Wakapolsek Ciputat Police Chief Inspector (AKP) Prayitno, the delegation from State Land Agency (BPN) of Banten Drs. Sugito Anwar, The head of Counseling and Legal Aid of The Ministry of Religious Affair H. Anang Kusmawadi SH MSi, subdivision head of Legal Aid II Edi Yanti SH, the delegation from kelurahan Pisangan (pisangan urban communities), and several guests. On his remark, Arskal hopes that the solution regarding UIN Jakarta land ownership problems would be resolved in 2017.
â€œThe phenomenal and crucial land issue is when the state land belongs to the Ministry of Religious Affairs (In this case, UIN Jakarta), was claimed as private property by some individuals.â€ He said. 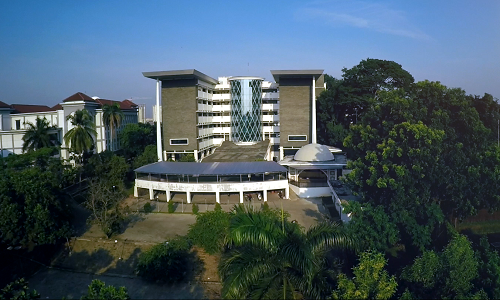 Arskal also added that UIN Jakarta is trying to become World Class University (WCU). With the number of students reached 40.000 people, it is necessary to increase the adequate learning infrastructures. 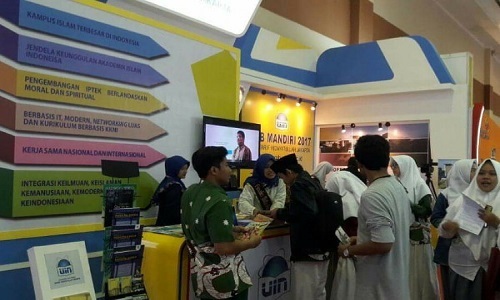 â€œ300 international students are studying in UIN Jakarta, and will continue to grow. Due to the limited infrastructure, we cannot accommodate them more than we have had. Therefore, with this activities, letâ€™s sit down together to find a solution for the land ownership issues.â€ He added. At the same place, the head of Public Relations and Legal Aid Service (PLHBH) UIN Jakarta Afwan Faizin MA said, PLHBH hold this event as a starting point to settle the problems related to UIN Jakarta assets.